We have some great new products for you to check out! Wedge Worldwide is excited to offer excellent, high-quality essential oils from a great company right from our own backyard. Minneapolis native Melissa Farris, pictured to the left, is a certified herbalist and aromatherapist who started her first company, Veriditas Botanicals in 1995. Melissa holds the distinction of being the first herbalist to bring organic essential oils to the marketplace and refuses to sell endangered species. Veriditas Botanicals offers pure, therapeutic grade, organic essential oils imported directly from their producers worldwide. Their close relationships with internationally known essential oil distilleries allow them to offer excellent oils produced with fair labor practices at affordable prices. Veriditas has a deep respect for their growers and producers because they make the highest quality medicinal essential oils offered in the world. These organic essential oils are produced with the intention of being used for their healing properties. Veriditas brings them to you with the love and regard in which they were grown. 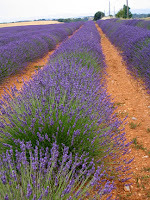 True Lavender essential oil is the panacea of aromatherapy. Because it is used for so many different ailments, it is considered to be a pocket-sized first aid kit. 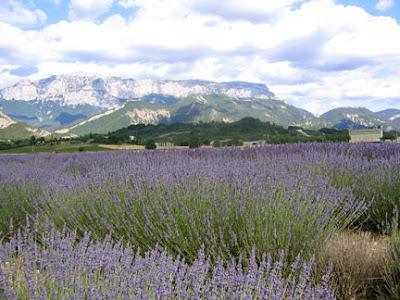 Keeping a bottle of Lavender is a definite must in your home pharmacy, car or workplace. Reliable, safe and great smelling, this strong oil is gentle enough to be used "neat" or undiluted, directly on the skin. 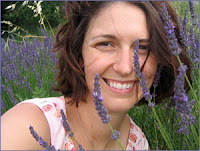 Melissa offered us some tips on how to use Lavendar Angustifolia therapeutically. A few recipes call for Peppermint, Lemon and Tea Tree essential oils in addition to lavender, but don't worry, Wedge Worldwide carries these oils as well. •Sunburns - Apply Lavender to the area. Cover lightly with a high quality lotion and repeat up to 4 times per day. •Pimples/Acne - Apply 1 drop Lavender per pimple/small acne area. Note: Essential oils are drying. Therefore, if skin is dry, apply lotion after using these essential oils undiluted on the skin. •Natural Deodorant - Place 1-4 drops of Lavender under each arm. •Sore Throat & Sore Gums - Lavender is used for sore throat, sore gums, canker sores/mouth ulcers, etc. Rub 1-3 drops of Lavender on sore area with 2 drops of Tea Tree if there are signs of infection. •Headaches - Try applying 4 drops of Lavender and 2 drops of Peppermint to the back of the neck and head. If you are sensitive to oils, add them to a TBSP of lotion or carrier oil. •Insect Bites CURE - Apply 1 drop of Lavender to each bite. Itching and/or stinging should cease immediately. Normally, you will only need one application for mosquito bites, but several for spider or other insect bites. •Travel - To help you stay well when traveling on an airplane, subway, bus, etc. place 5 drops of Lavender, 2 drops Lemon and 2 drops Peppermint on a handkerchief and do 5 inhalations when needed. Upon arrival at a hotel, sprinkle room and bed with Lavender as a great disinfectant. Also, use oils in tub or shower to encourage air purification and relaxation. •The Bath - Use 5-25 drops of essential oil of Lavender per tub of bathwater. •Direct Application - Rub Lavender on body and immerse into bath. •Milk Bath - Add Lavender to 1 cup of full fat milk. Stir. Add to bath water. •Muscle Relaxant & Nervous System Tonic - Add to hot bathwater with 4 cups Epsom salts for magnesium benefits. Soak for at least 20 minutes. •Footbath - Place 5 drops of Lavender on each foot and rub vigorously. Emerge feet into basin filled with hot water. Option - switch from hot to cold water for more stimulation. Contraindications - If swelling, redness or irritation occurs, discontinue use. If you have sensitive skin, try 1 drop of essential oil on the inner arm and monitor effects for 24 hours. Keep out of reach of children. Do not use internally. Keep away from eyes and mucous membranes. Do not use essential oils undiluted or in large doses. Use with caution while pregnant or nursing. GRAS - Generally regarded as safe. We hope you have fun immersing yourself in the wonderful healing benefits of lavender! 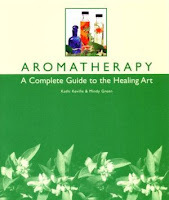 For more great information on how to use and enjoy essential oils we highly recommend the book, Aromatherapy: A Complete Guide to the Healing Art.